Rampant costs and a growing shortage of qualified resources spur many Western businesses into looking for ways to optimize their ROI and improve the quality of their app development process. Software outsourcing is a widely known business phenomenon. Due to this business model, a prodigious number of both US and other Western businesses have managed to find the happy medium between curbing their development costs and retaining, or, even, further improving the quality of their software development. While examples are truly aplenty, those of Nextiva, SimCorp, Samsung, and other world-leading companies should be sufficient to admit that launching R & D centers in well-known offshore locations can be a valid and logical way to optimize part of your operations, or develop a mission-critical software application. However, in most instances, setting up offshore R &D facilities of one’s own either makes no sense, or can just be overly cumbersome. Incidentally, outsourcing can be the answer. According to Deloitte’s 2016 Global Outsourcing Survey, 72% of the businesses that took part in the survey outsourced their IT needs. In essence, you can follow in others’ tracks and hire people with the same qualifications and attitudes, or, perhaps, even, exactly the same people as those, who have developed the software products that have helped global leaders succeed. There is only one question remaining: where to one look to find an outsourcing arrangement that will really do the trick for you? Procuring something that is more than just a nifty printed shirt, or a new camera for an upcoming vacation, is always associated with an entire range of limitations. These limitations include the availability of after-sale service, cost of delivery, compliance with your local standards and regulations, and multiple other factors that can hamper your choice. While software, is, in most instances, custom-free and a great deal easier to deliver than commodities, or industrial goods, you can, still, encounter a number of limitations and, to make matters worse, pitfalls. Linguistic and cultural differences, time zone differences, and even, your personal and professional experience can all be in your way to success if you make the wrong choice. That is why, just like with exotic commodities that need to be transported from outlandish faraway locations, or with sophisticated industrial equipment that needs to be serviced by someone savvy in your area, it is, usually, better to choose the source of origin that is within your reach geographically, culturally, and time zone-wise. Despite the gargantuan competition from several universally known software outsourcing locations, which sport big-time cost savings as a bargaining chip and whose IT leviathans employ thousands of IT developers across international borders, Eastern Europe has managed to affirm its position as an immensely popular global outsourcing destination. Moreover, it has become the immediate, natural choice for vast numbers of Western-European businesses, thrilled to find easily controllable, dependable, and cost-effective outsourcing arrangements next door. Some of the newly found synergies have proven to be especially productive. One of the more illustrative examples of this is Belarus having become the UK’s top software outsourcing destination (according to the 2017 Global Outsourcing 100 listing, published by the IAOP industry Association). However, Eastern Europe is not an outsourcing lure only for its Western sister. Over the last 10 years, we have observed a colossal avalanche of software development projects coming to Ukraine from the United States, Canada, Israel, and, over the last couple of years, from Australia, which, has, traditionally, been regarded as a bonanza market for South-East-Asian software development firms. The same should be the case for Poland, the Czech Republic, Bulgaria, Hungary, and other Eastern-European countries. Nowadays, the CEE region successfully competes with its much bigger overseas IT rivals. The latter, in particular, include such popular outsourcing locations, known to have many well-established IT providers, as South Asia (including, certainly, India, whose IT industry generates an eye-popping $ 150 billion in revenue annually) and South-East Asia (with over a million people employed in the IT & BPO outsourcing industry in the Philippines alone). So, what are the factors that have helped Central and Eastern Europe emerge as a global IT outsourcing destination? And can your business benefit from the presence of these factors if you start looking to outsource? 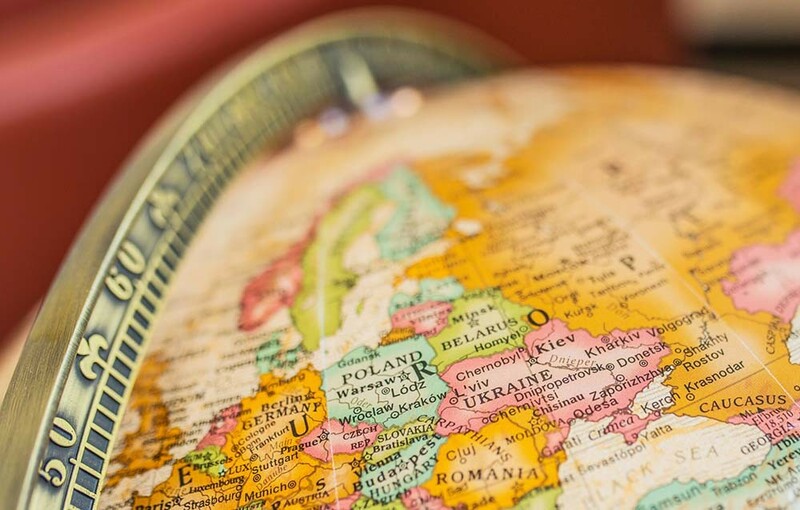 If you are based in Western Europe, outsourcing to Eastern Europe can be especially attractive for you because, in most instances, the nearshore outsourcing model seems to be proving more efficient than the offshore outsourcing one. Firstly, nearshoring allows easy travel along what is, often, a familiar route. You can, thus, have better control over the implementation of your project by visiting your nearshore development team more often. If you are planning on long-term cooperation with your outsourcing partner, nearshore can be a much more preferable option than very remote offshore software development for the same reason: you are more likely to build a good rapport with your external team if they are, relatively, a stone throwaway and not a 24 hour-long flight away. Notably, the convenience and greater suitability of nearshore software development for a considerable part of Western businesses seem to have been taken notice of by some major IT outsourcing market players that originate from South Asia. These custom software development providers have been building a business presence in the CEE region for a while now by setting up R & D facilities here. Another important reason for Western-European businesses to outsource their app development to CEE custom software providers is that the advent of the increasingly popular Cloud has altered the very nature of project delivery. And this bears considering if the project you want to outsource is Cloud-based: while, previously, software could be developed elsewhere and then just transferred to you and installed on your end, presently, you need to ensure its continuous delivery. As you can imagine, this process can be encumbered with a great many hurdles unless you have the ability to be constantly in contact with your external development team. Thus, from this angle too, nearshore outsourcing can be a much better option than a faraway offshore development alternative. Sooner or later, everyone has to admit that a time zone is, inevitably, one of the most important determining factors in the selection of an custom software outsourcing partner. After all, there are talented and, to a varying degree, affordable offshore software developers in many countries of the world. However, if you can barely ever talk with your offshore development team because either you, or them are fast asleep, this kind of an outsourcing arrangement is unlikely to take off, or last long. We may be wrong, but we’ve never heard of any Western-European company outsourcing its app development to, for example, Vietnam, a country, which, reportedly, has many good software developers. In this regard, any of the CEE countries is well-suited for working with businesses in North America, Western Europe, and, even, Australia. For example, the 3-4-hour time overlap Central and Eastern Europe has with most of the US allows efficient daily interactions with your external development team. In the case of Western-European businesses, cooperation with a nearshore CEE software provider can be even more favorable as it allows an even more close daily collaboration: essentially, you can work with your nearshore software development team in online mode all working day long. The same holds true for Middle-Eastern, and, in particular, Israeli businesses. As far as Australia is concerned, the EET time zone is, even, more suitable for Aussie companies than for North-American ones, as it allows a longer working time overlap. While price has never been Eastern-European offshore IT providers’ strongest suit in dealing with their overseas competition, the value-for-money ratio most of them are capable of providing has always been. This is rooted largely in the fact that the countries of Central and Eastern Europe have a long-standing tradition of engineering excellence and a system of education that ensures that technical students have a very good command of math and some other sciences. In addition, while being just relatively insignificantly more expensive than some other outsourcing destinations (for example, South Asia) and, even, slightly less expensive than others (for example, Latin America, with, probably, some exceptions), the CEE region boasts a massive-scaled talent pool (according to some estimates, around 1 million specialists) that consists, predominantly, of university-educated software engineers, QA engineers, and IT other experts. In plain English, what you get for roughly half the Western price is a university-educated engineer with a relevant BA, or MA (down here it Ukraine, its mostly MA) technical degree, several years of relevant working experience, gained while implemented projects for Western or, less often, Middle-Eastern, clients, and a grasp of English that is enough for the good performance of their duties in relation to your project. One more reason why Eastern Europe should be considered by all those, who find it suitable from the viewpoint of geographical proximity and time zone, emanates from the previous one. The engineering mindset and broad technical education of Eastern-European software engineers allow them to approach tasks creatively. They tend to look for ways to come up with the best possible solution, rather than just mechanically implement a client’s blueprint. If you, as a client, are interested to learn some other qualified opinions on how your business or technical goals can best be achieved, an Eastern-European nearshore development team (for example, one from Belarus) would, probably, be a great fit for you. Actually, it all depends on your preferences. Eastern-European software developers and other IT experts are known to have good English skills. Besides, the vast majority of Eastern-European software developers are speakers of German-Romanic languages. This helps them, as non-linguists, acquire a working command of spoken English in terms of the pronunciation. Although they, usually, do not sound like English native speakers, their accents are, as a rule, clear and easily understood by the latter. Also, it is worth mentioning that there are a number of people in different roles (developer, PM, Sales, Marketing, and others) at Belarus (and, most probably, other Eastern-European) nearshore software development companies who are very fluent in English. From our experience, communication with overseas parties has never seemed to be any kind of a problem. We have mentioned but a few of the advantages you can benefit from if you outsource your software development to Eastern Europe. If your business needs, business practices, and geography are in sync with what the CEE region can offer, you, need to look no further to find an awesome nearshore software development partner, -just make sure you choose the right company there.